Travel is perhaps the best way to learn because it provides a more memorable and unique experience to educate yourself. 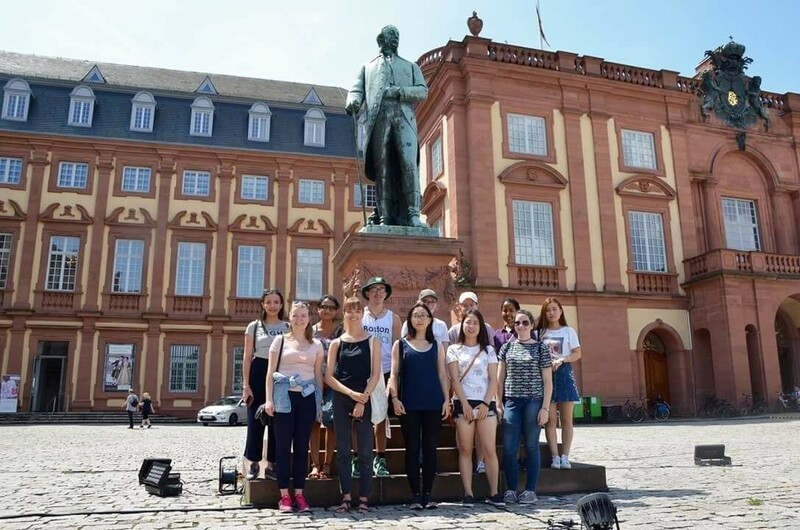 If I had never chosen to study abroad at the University of Mannheim in Germany last summer, as a member of their International School of Humanities Summer School program, I may have never realized the importance of travel. It was learning about the various diverse cultures and life stories of my classmates and now lifelong friends from around the world, that inspired me to continue traveling. Prior to this experience, I had never left the country or even been on a plane. However, after this study abroad experience, I came back a more educated individual as I was now equipped to view situations from perspectives other than just my own. Surprisingly, while I did learn a lot in the classroom, I feel I learned just as much or even more from adjusting to the daily lifestyle of a new country and socializing with Germans and my classmates from around the world. The importance of conversation as a means of education while traveling in a different country cannot be stressed enough, as you never know where it will lead. Now I have two upcoming study abroad opportunities that I am very excited for. During spring break, I am doing a directed study in Sicily, and at the end of the semester, I am traveling to Thessaloniki, Greece for coursework. Sicily will be my first time in Italy, which means a lot to me, as my family is Italian. I have studied the Italian language for over ten years now and it has become my major. My expectations for this trip include being fully immersed in the Italian culture while having the ability to utilize and enhance my Italian communication skills by speaking Italian in Italy. Furthermore, I am just as excited to travel to Thessaloniki, Greece, as I am currently taking a class that links this city with Salem, Massachusetts, where I go to school. Thanks to this course, I have learned about the importance of these two port cities through their trade histories. Trade gave these cities exposure to many different countries from around the world, which is why they remain important crossroads still today. I can’t wait to get to Greece and continue analyzing palimpsest and remnants of the past with students from the University of Aristotle. If I had never chosen to travel while in college, I would in no way be as educated and aware of different cultures and perspectives as I am today.